The practice of health care consulting continues to evolve at a rapid pace. This issue of Health Care Bulletin covers some of the ways in which groundbreaking tools are transforming a familiar landscape. Advances in data science are transforming the practice of economic, litigation, and health care consulting. Analysis Group recently held a Data Science Symposium, which was attended by over 250 consultants and professional staff. A white paper prepared by Analysis Group consultants suggests that a large, growing population of Americans with travel-limiting disabilities may be positioned to support demand for accessible and autonomous vehicles. 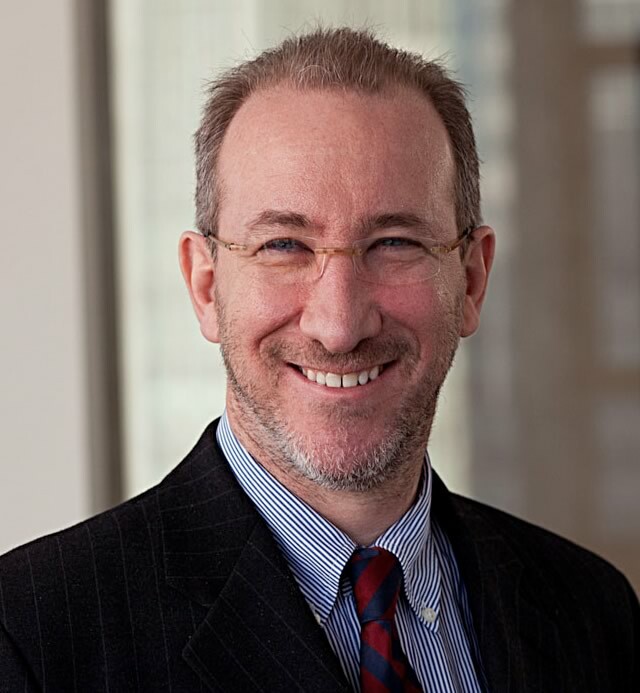 Professor Abrams is a leading economist working in empirical law and economics, and an expert in the areas of intellectual property and criminal justice. 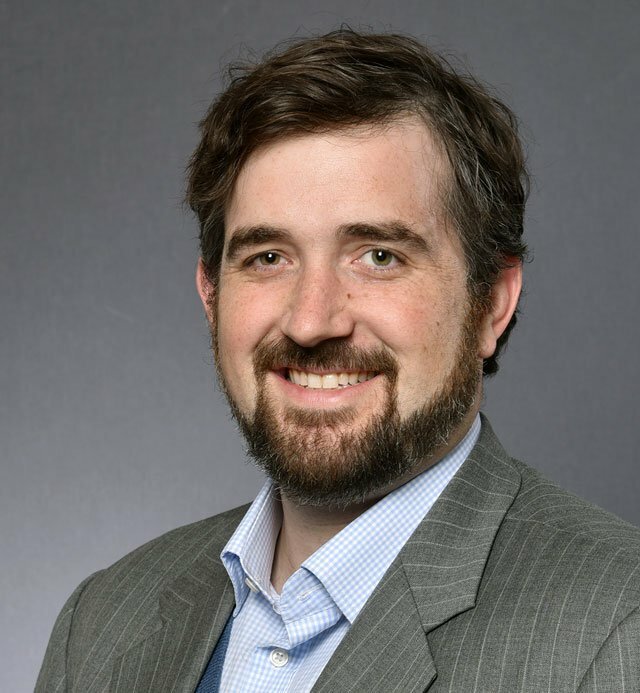 His work covers a range of topics, united by the goal of understanding and measuring how individuals respond to incentives in various legal contexts. In intellectual property, he has explored the effects of NPEs on innovation, investigated the determinants of patent value, researched the expected impact of the America Invents Act, and examined the effect of patent duration on innovation. In the area of criminal justice, Professor Abrams has investigated a variety of questions, including whether longer sentences deter crime, how defendant race impacts judicial decisions, to what extent attorney skill affects case outcomes, and how much individuals value freedom. 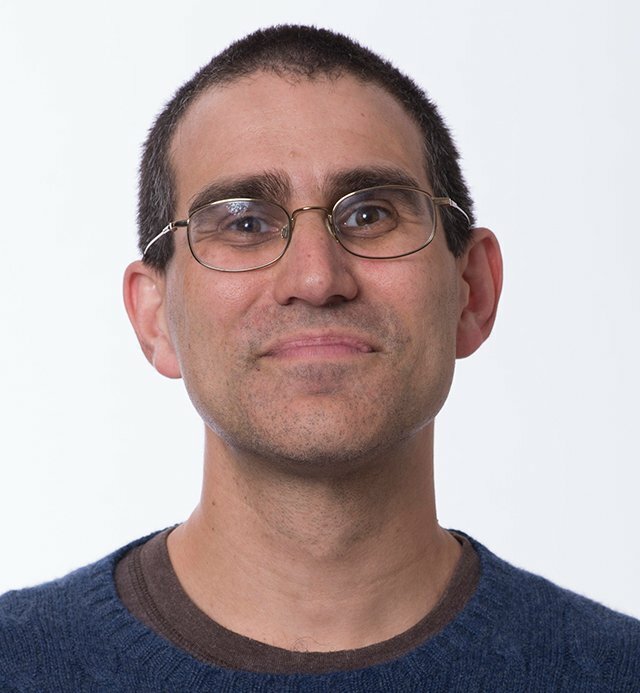 Professor Abrams has additional interests in law and health economics, labor economics, and corporate finance. 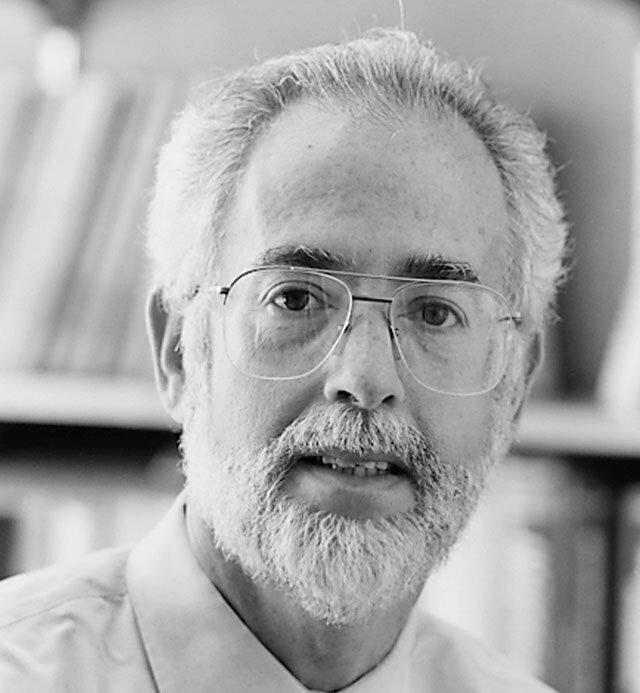 His research has appeared in a number of top peer-reviewed journals and law reviews, including the <em>Stanford Law Review</em>, <em>The University of Chicago Law Review</em>, the <em>University of Pennsylvania Law Review</em>, <em>American Economic Journal: Applied Economics</em>, and <em>The Journal of Legal Studies</em>. He is past president and current board member of the Society for Empirical Legal Studies as well as past chair of the Law and Economics section of the American Association of Law Schools. 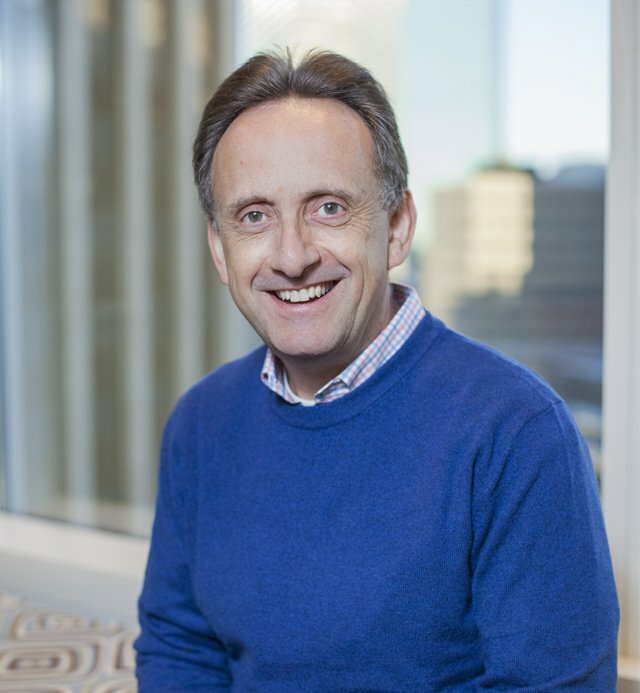 Professor Goodstein's executive teaching and consulting are in the areas of customer focus, building and managing brand equity, strategic marketing management and positioning, integrated marketing communications, and consumer behavior. His work has been taught to some of the world's leading companies, including Prudential, Microsoft, Dow, CR Bard, Amoco, Shell Oil, HSBC, Credit Suisse, Lexis/Nexis, M&M Mars, Kimberly-Clark, Siemens AG, and many other Fortune 500 firms. Professor Goodstein has served as an expert witness in a number of trademark infringement, false advertising, and patent infringement matters. His experience includes testimony before the US Federal Trade Commission related to consumers' likelihood of confusion in response to online search advertising <i>In the Matter of 1-800 Contacts, Inc</i>., and congressional expert testimony before the House Committee on Veterans' Affairs (Oversight and Investigations Subcommittee) regarding media outreach to veterans. 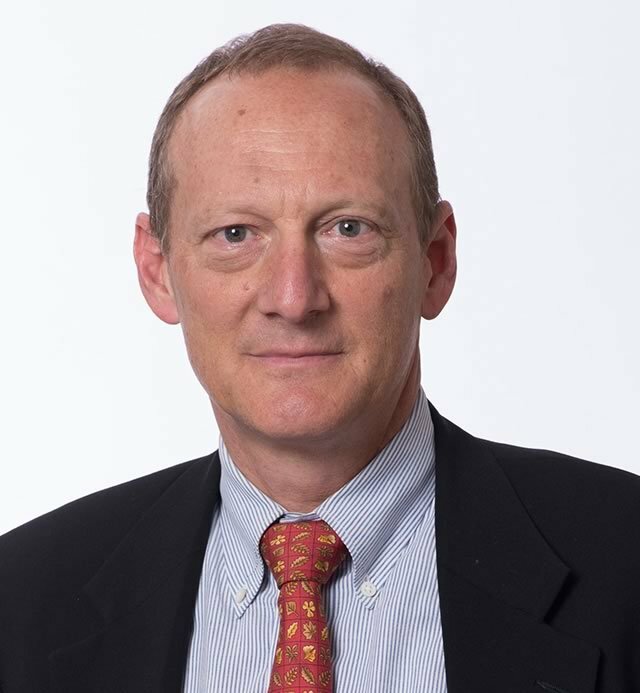 Professor Goodstein has consulted on social media strategy with firms such as Dell, Microsoft, Fleishman/Hillard, Baker MacKenzie, CR Bard, and IBM. He has written articles about the strengths and drawbacks of social marketing (e.g., <i>Trademark Reporter</i>, 2015) and his research on consumer behavior, building and managing brand equity, strategic marketing management and positioning, and integrated marketing communications has been published in prestigious journals, such as the <i>Journal of Consumer Research</i>, <i>Journal of Marketing Research, Journal of Marketing</i>, <i>Journal of Public Policy & Marketing</i>, and <i>Pricing Strategy and Practice</i>. 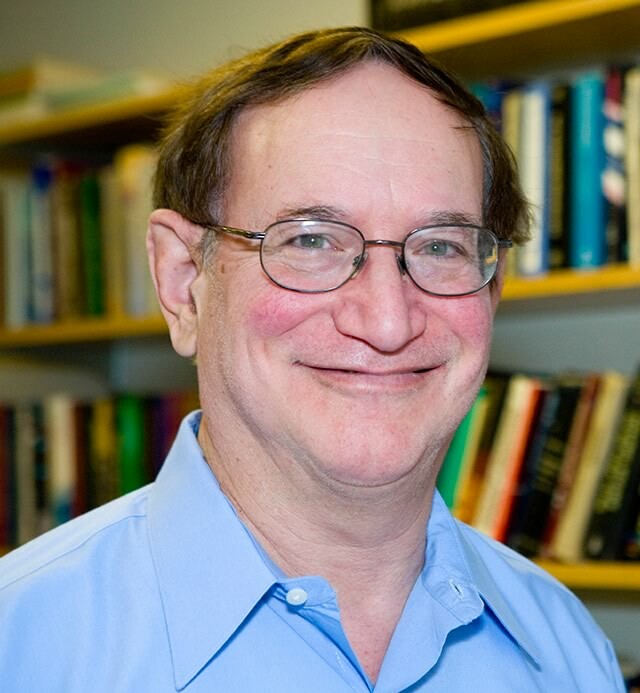 Professor Goodstein serves on the editorial boards of the <i>Journal of Consumer Psychology</i>, the <i>Journal of Retailing</i>, <i>Marketing Letters</i>, and the <i>Decision Sciences Journal</i>. He is also on the board of advisors for the Institute for Brand Management. 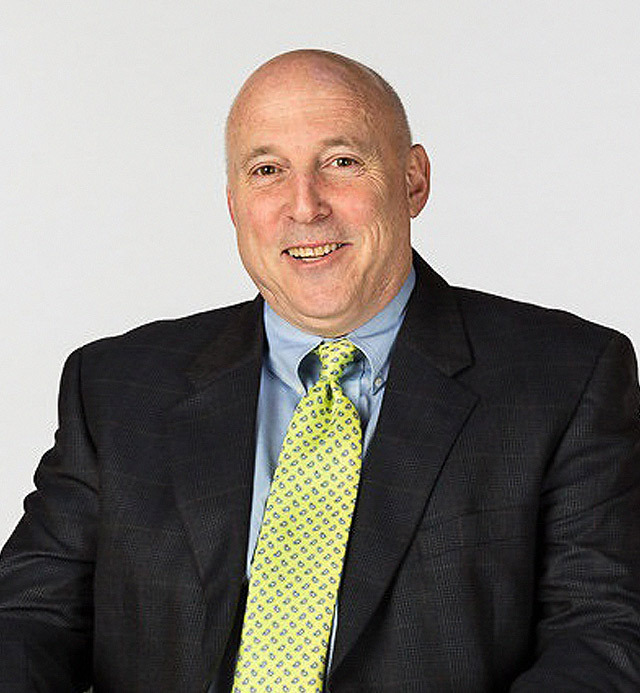 Professor Goodstein was previously awarded the American Marketing Association of Washington, DC's prestigious “Hall of Fame” award for his marketing teaching and practice in the metropolitan area. Mr. Yeater's areas of expertise include the evaluation of damages in antitrust, intellectual property, and complex commercial matters in a variety of industries including media, high technology, retail and institutional financial services, and telecommunications. He has worked with expert witnesses in their preparation of damages analyses for numerous high-profile cases in the technology sector, including several antitrust matters involving Microsoft. Mr. Yeater has supported counsel for defendants in trials responding to multibillion-dollar antitrust damages claims in the multidistrict price-fixing matter In re: TFT-LCD (Flat Panel) Antitrust Litigation. He has also supported counsel in several matters concerning distribution of video media, including a merger of national cable companies, disputes about content licensing terms, and litigation by several broadcast networks concerning alleged copyright concerns arising from Dish Network's Hopper DVR and AutoHop service. Mr. Yeater has also evaluated financial services firms, including investment banks, institutional investors, and credit card networks, and has provided strategic support for clients in the music, pharmaceutical technology, and agribusiness industries. Dr. Rossiter is nationally recognized as a health economist and expert in health care delivery systems and reimbursement. He is formerly the secretary of Health and Human Resources for the Commonwealth of Virginia. As secretary, Dr. Rossiter directed the implementation of Virginia's new private health insurance program for children and families; ensured significant further improvement in the state's mental health system; created new policy initiatives in the emerging field of human genetics; and brought the major information technology projects in the secretariat to national prominence. 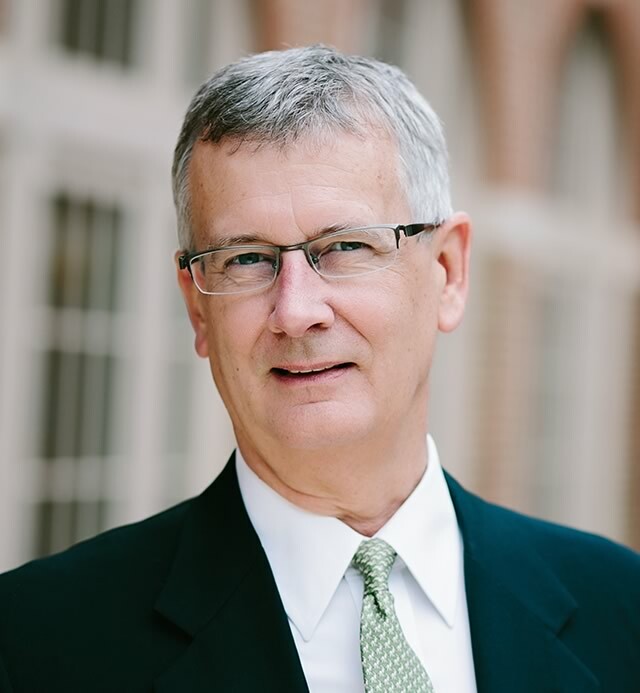 Dr. Rossiter served on the board of directors of the VCU Health System from 2002 to 2004, chairing the Quality, Safety, Risk, and Credentials Committee, and serving on the Executive Committee. The hospitals, clinics, and health science schools of Virginia Commonwealth University comprise the VCU Medical Center, one of the largest academic medical centers in the country. He took a leave of absence from teaching from 1989 to 1992 to serve as deputy for policy to the administrator of the Centers for Medicare and Medicaid Services (CMS). As deputy, he created and directed a new payment system for US hospitals under Medicare and formulated all agency policy initiatives through the federal legislative process. 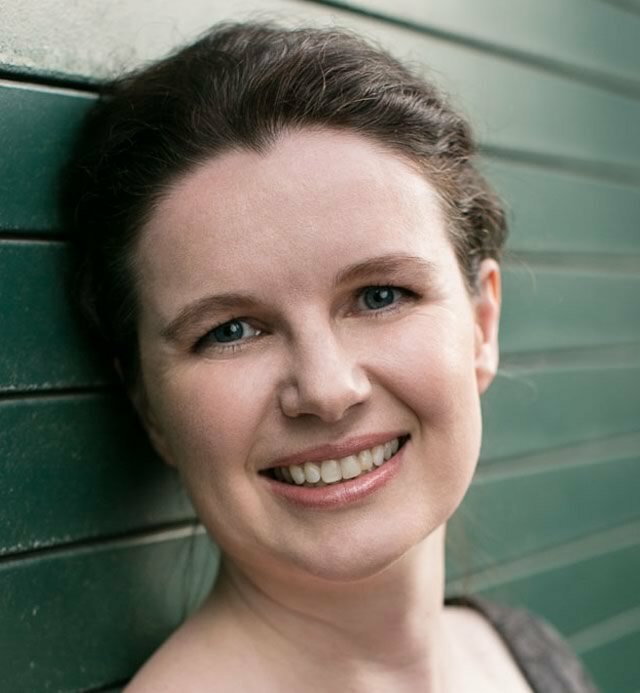 Professor Garthwaite is an applied microeconomist who studies the effects of government policies and social phenomena, particularly in the areas of health and biopharmaceuticals. 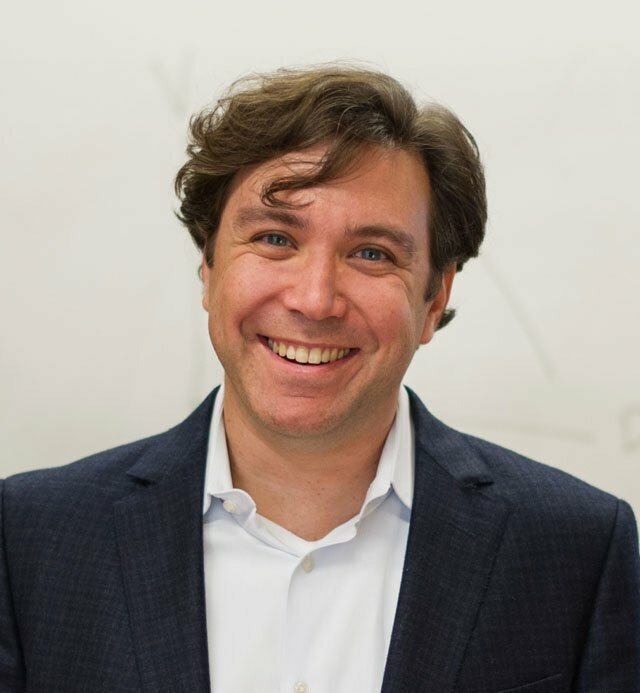 His recent work focuses on the private sector effects of the Affordable Care Act, including the labor supply effects of large insurance expansions, the changes in uncompensated hospital care resulting from public insurance expansions, and the responses of nonprofit hospitals to financial shocks. 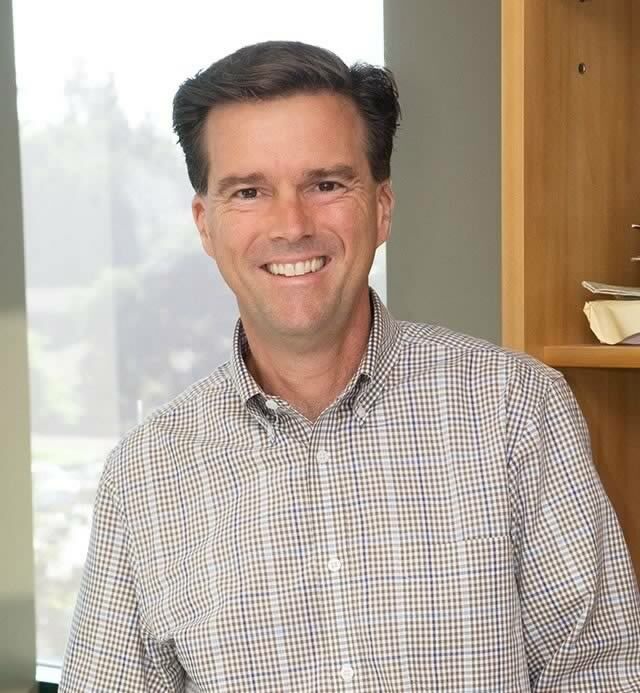 Professor Garthwaite also studies biopharmaceutical pricing and innovation, including the effect of expanded patent protection on pricing in the Indian pharmaceutical market, the effects of increases in demand on innovation by US pharmaceutical firms, and the relationship between health insurance expansions and high drug prices. Additionally, he studies the effects of the increased use of private firms to operate and manage social insurance programs, with a focus on Medicaid managed-care firms. Dr. Chapsal specializes in empirical and theoretical industrial organization. He has provided economic expertise in a large number of high-profile cases involving mergers, abuses of dominant positions, cartels, information exchanges, regulation, and damage quantification. Recent examples include the Lafarge/Holcim and Fnac/Darty mergers, as well as airfreight, cathode ray tube, and elevator cartel cases. Dr. Chapsal has also assisted various firms in designing optimized pricing strategies and contracts that comply with competition rules. 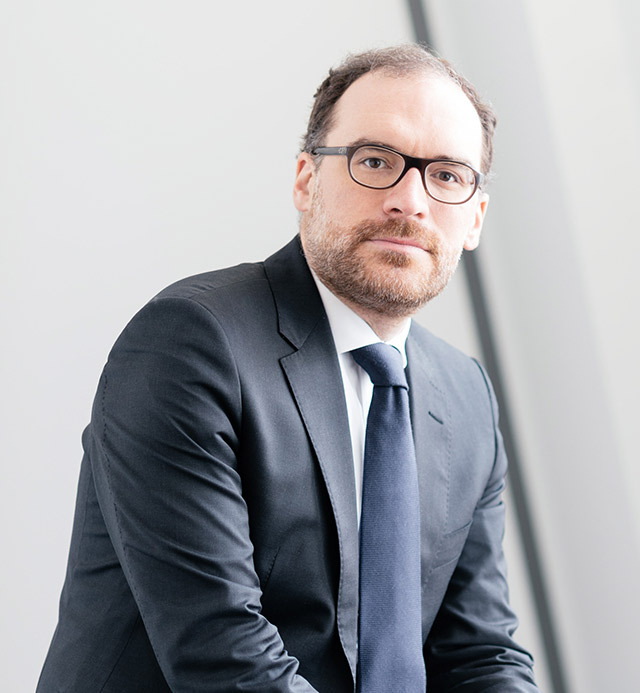 Previously, he worked at the French Ministry of Economy, where he took part in the drafting of the horizontal merger guidelines, and in an American competition economics consultancy where he contributed to the analysis of major antitrust and merger cases. He regularly publishes articles on competition economics, on subjects ranging from the econometric analysis of cartels to geographic market delineation and exclusionary strategies. He is an affiliated professor at the Sciences Po department of economics and a member of the CESifo academic research network. 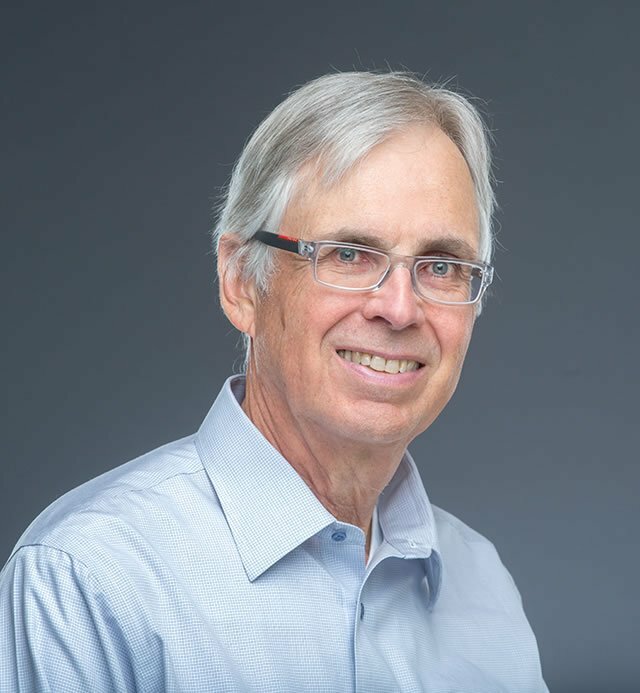 Professor Baker is an expert in health care economics, including the effects of regulation on health care markets, physician market structure, the effects of managed care and insurance market competition on health care delivery and spending, and the determinants and impact of medical technology adoption. He has served as a consultant and advisor to health plans, government programs and public initiatives, and firms providing health care services and developing new health care products. His research has been published in leading academic journals, including JAMA, New England Journal of Medicine, American Economic Review, and the Journal of Health Economics, among others. In 2008, he received the ASHE Medal from the American Society of Health Economists, recognizing the top American health economist under 40. Professor Baker's studies of the relationships between area characteristics and health care delivery have twice won the National Institute for Health Care Management's best research prize. 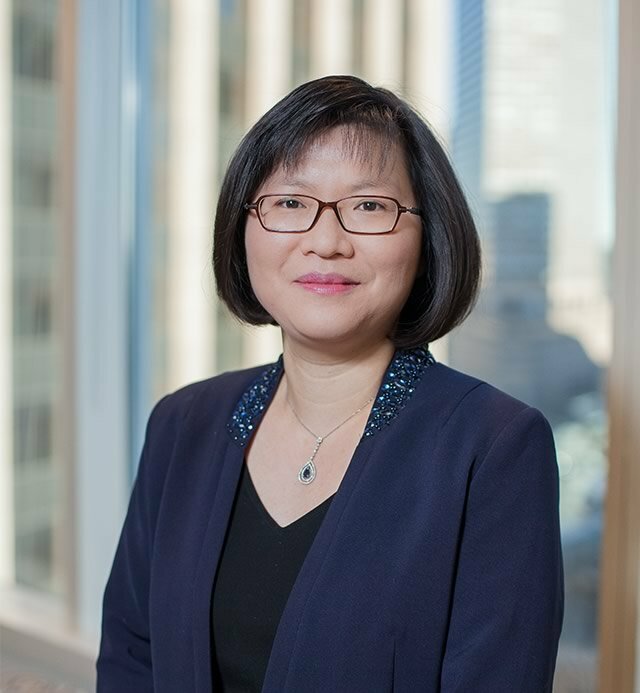 A specialist in finance and securities, Dr. Wong has managed teams supporting academic and industry affiliates in litigation matters involving securities fraud, damages, bankruptcy, suitability analysis, portfolio management, mortgage lending practices, accounting analysis, market manipulation, and financial statement analysis. He has extensive experience analyzing fixed-income instruments, structured finance instruments, and credit derivatives. Dr. Wong has worked on and provided testimony in government regulatory investigations. His recent engagements include work in legal disputes related to structured finance instruments, including residential mortgage-backed securities (RMBS) and collateralized debt obligations (CDOs); securities lending; mutual funds and other commingled investment pools; corporate governance; and investment suitability claims. He has also worked on valuation, class certification, and intellectual property matters. Professor Torous is an expert in financial and quantitative analysis of real estate securities, with a focus on the pricing of financial instruments (options, future, risky debt, mortgages), the reorganization of financially distressed firms, and statistical issues in finance. He has published a number of articles in academic journals on the valuation of mortgage-backed securities and mortgage pass-through securities, mortgage prepayment and default, and the valuation of commercial mortgages. Professor Torous’s consulting clients include the US Department of Housing and Urban Development, the Federal Home Loan Mortgage Corporation, and various thrifts, banks, and other financial institutions. He was founding director of the Ziman Center for Real Estate at UCLA Anderson School of Management. Dr. Duh is a pharmacoepidemiologist specializing in the safety, health economics, and outcomes of pharmaceuticals and medical devices. She has published more than 110 articles in peer-reviewed journals in the areas of drug safety, health economics, outcomes research, patient reported outcomes, comparative effectiveness research, direct and indirect costs, and cost-effectiveness analysis, and has utilized data from clinical trials, literature, large health insurance claims databases, medical records review, patient surveys, and Medwatch spontaneous reports data. She has led research and publications for numerous pharmaceutical companies in the areas of health economics and outcomes research, the U.S. Food and Drug Administration's post-marketing commitment and post-marketing requirement studies, and the European Medicines Agency's post-authorization safety studies. Her work also includes pharmaceutical liability litigation and securities fraud litigation associated with adverse drug events that lead to product recall, market withdrawal, black box warnings, and FDA limited access programs. 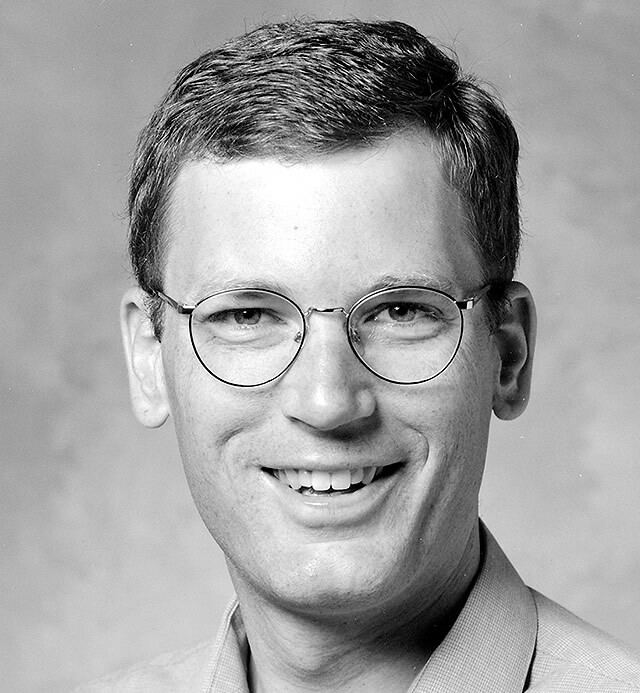 Professor Levinsohn is an expert in antitrust, industrial organization, and econometrics. He has provided expert reports and testimony in several landmark antitrust and regulatory matters, including the <i>TFT-LCD (Flat Panel) Antitrust Litigation</i>, the <i>Vitamins Antitrust Litigation</i>, the <i>New Motor Vehicles Canadian Export Antitrust Litigation</i>, and the <i>Tobacco Master Settlement Agreement</i> proceedings. Professor Levinsohn also has consulted to numerous foreign governments and international organizations. Throughout his more than 40-year career, Professor Longstaff has developed a deep knowledge of all aspects of financial valuation. He is known for developing the Longstaff-Schwartz model, a multi-factor short-rate model; and the Longstaff-Schwartz method for valuing American options by Monte Carlo simulation. These valuation models have been used widely on Wall Street and throughout the global financial markets. He regularly consults to financial institutions, including mutual funds, hedge funds, and commercial banks, as well as to risk management firms. 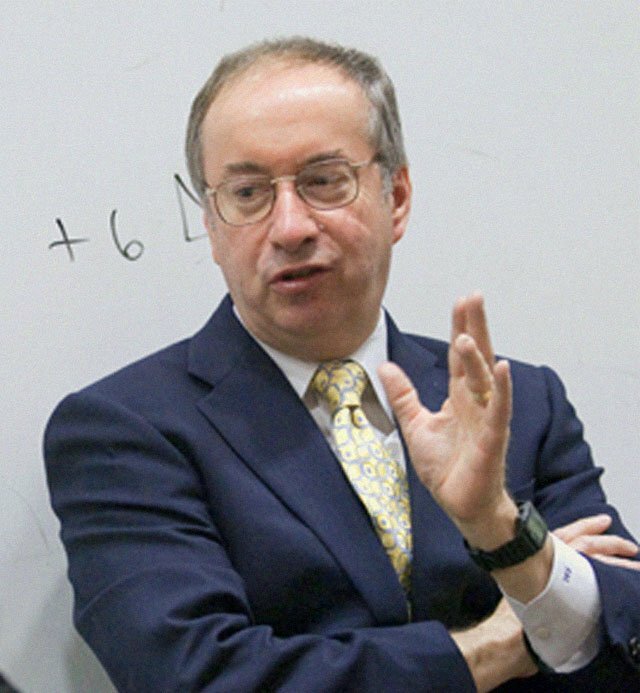 Professor Longstaff has taught at UCLA since 1993, and his research includes fixed income markets and term structure theory, derivative markets and valuation theory, credit risk, computational finance, liquidity and its effects on prices and markets, and the role of arbitrage in financial markets. 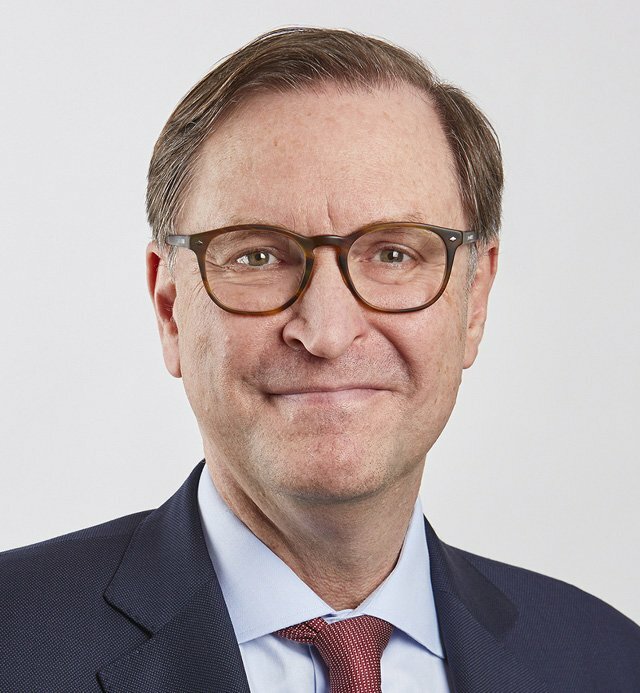 Earlier in his career, he served as the head of fixed-income derivative research at Salomon Brothers, Inc., in the research department of the Chicago Board of Trade, and as a management consultant for Deloitte Haskins & Sells. 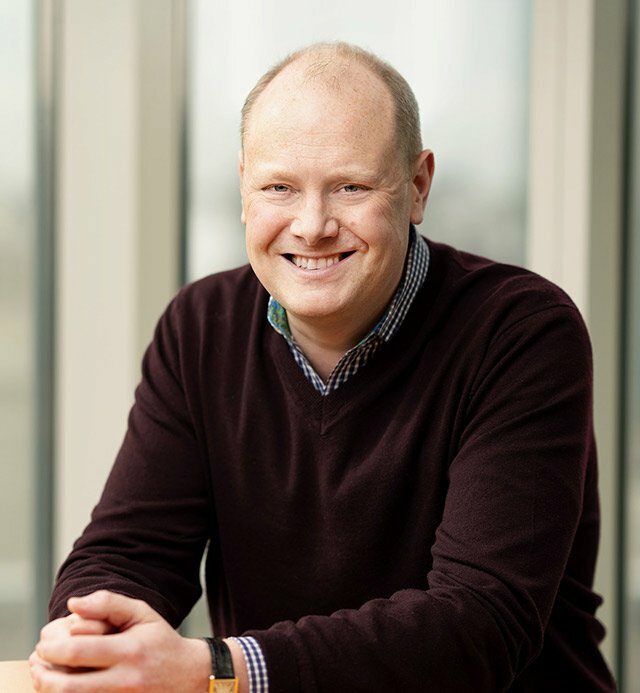 Professor Longstaff has published more than 70 articles in academic journals, including <em>The Journal of Finance</em>, <em>American Economic Review</em>, and the <em>Journal of Financial Economics</em>. He is a certified public accountant and a chartered financial analyst. 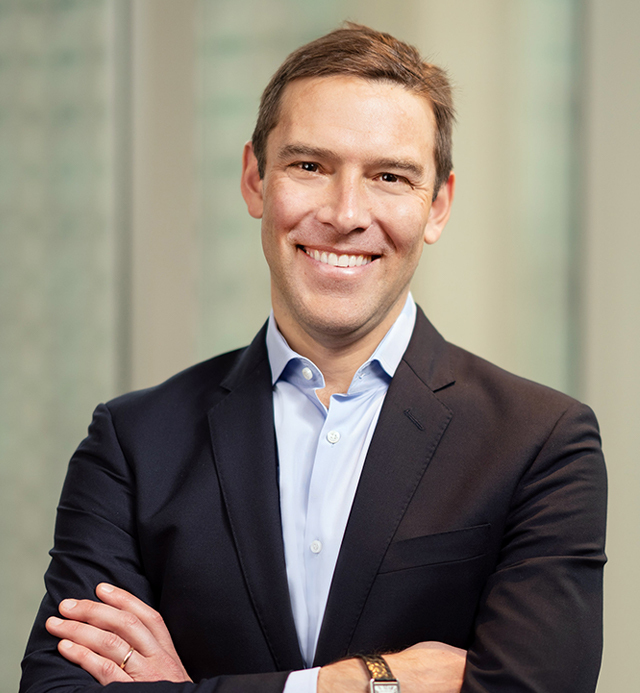 Mr. Jarosz, a managing principal with Analysis Group and director of the firm's Washington, DC office, is an economist who specializes in applied microeconomics and industrial organization. He has provided strategy consultation across a wide range of industries and delivered expert testimony in hundreds of depositions, trials, and hearings. His focus is on matters involving intellectual property, licensing, commercial damages, and antitrust. Professor Skinner's research focuses on corporate finance and financial reporting, including payout policy (dividends and repurchase decisions), earnings management, corporate disclosure policy (earnings guidance), the effect of firms' accounting and disclosure policies on securities prices, and international accounting issues, including fair value. He has published his research in leading accounting and finance journals, including The Accounting Review, the Journal of Accounting and Economics, the Journal of Accounting Research, the Journal of Business, The Journal of Finance, and the Journal of Financial Economics. Professor Skinner's research also has been featured in articles in The Wall Street Journal, the Financial Times, The Economist, and BusinessWeek. Mr. McLean specializes in the application of finance and economics to problems in complex business litigation, including securities, valuation, tax, and intellectual property matters. His experience spans several industries, from banking, insurance, and high technology to telecommunications and health care. 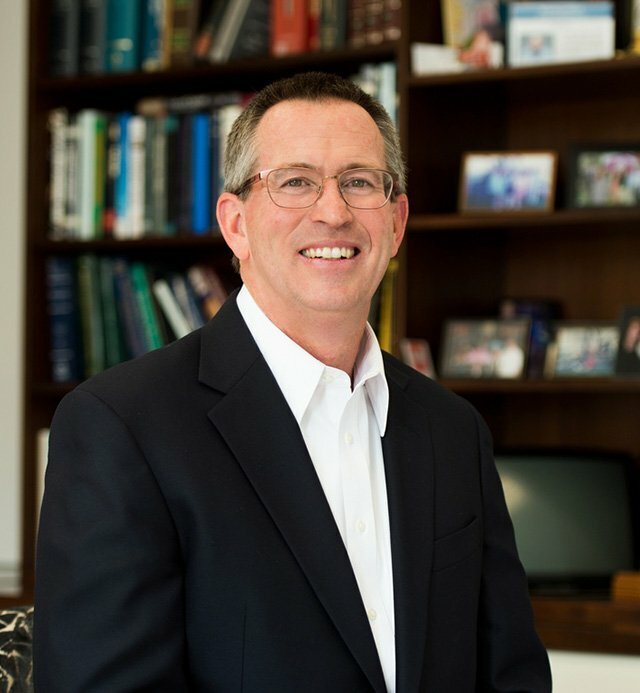 He has served as an expert witness and has provided assistance in many phases of litigation, including development, presentation, and review of pretrial discovery; preparation of testimony; and critique of analyses of opposing experts. 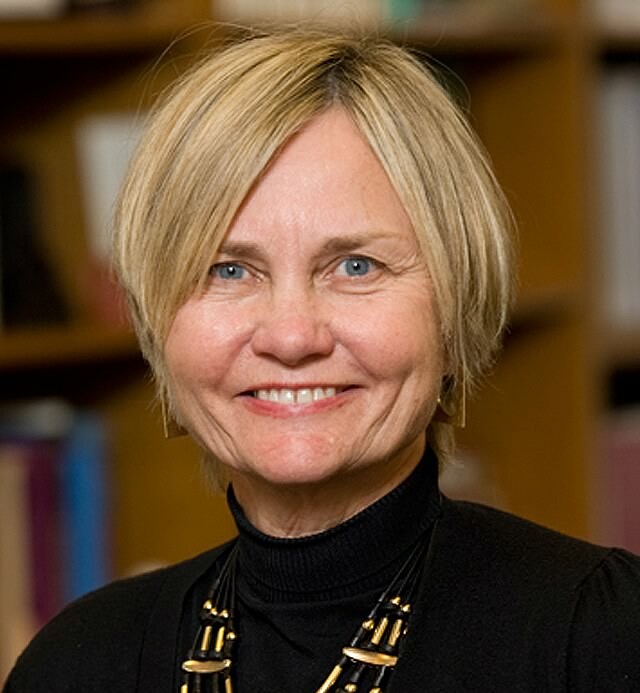 Professor Steckel's primary research areas include marketing and branding strategy, marketing research, direct marketing, consumer response to marketing strategy, and management decision making. Professor Steckel has consulted, testified as an expert witness, and conducted modeling and analysis in numerous cases involving antitrust, damages assessment, trademarks, marketing and branding strategy, forecasting, and the statistical analyses of market response. He has analyzed industries including telecommunications, consumer products, financial services, pharmaceuticals, apparel, retail, and health care. 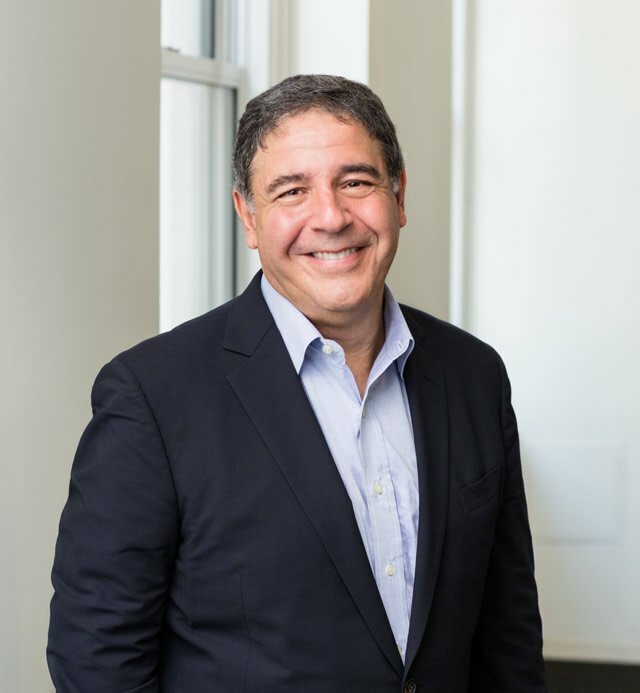 He was the founding president of the INFORMS Society for Marketing Science, served six years as the chair of NYU Stern School's marketing department, and is currently the vice dean of the Ph.D. programs at NYU Stern. Professor Melvin has lengthy academic and business experience in international finance &ndash; including foreign exchange market microstructure &ndash; and multi-asset investment strategies. His current research focuses on currency carry trades, currency transaction costs, and exchange rate models. Professor Melvin has published widely on topics that include exchange rates, currency investing, and international equity markets. Previous faculty appointments have included Arizona State University&rsquo;s W.P. Carey School of Business; the Haas School of Business at the University of California, Berkeley; the University of California, Los Angeles; and Northwestern University. Ms. Pike applies her expertise in health economics, statistics, and large administrative claims and transaction-level databases to help resolve complex litigation and strategic business questions in a variety of contexts, including matters involving the False Claims Act, Anti-Kickback Statute, and Controlled Substance Act. She has performed economic analyses and presented findings to US Attorney's Office investigators in numerous cases involving allegations of off-label promotion, kickback, and pricing issues. 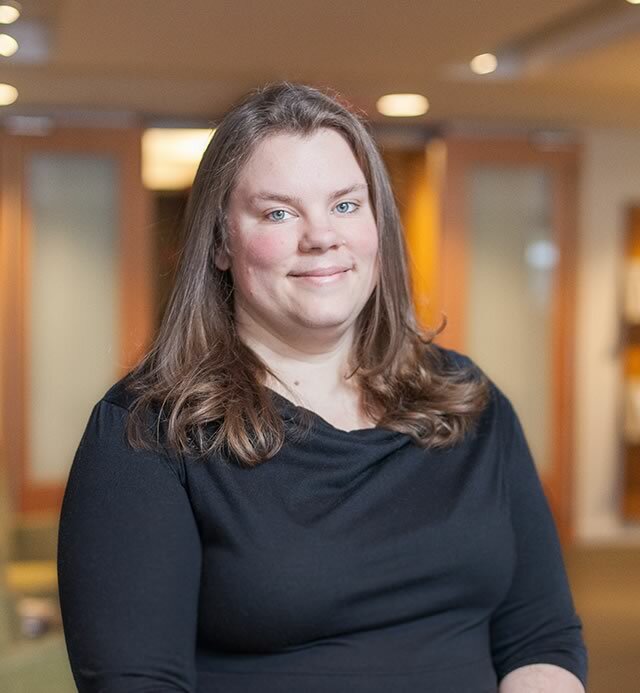 Ms. Pike also applies economic theory and empirical estimation methods in a variety of product liability, breach of contract, intellectual property, and transfer-pricing engagements. 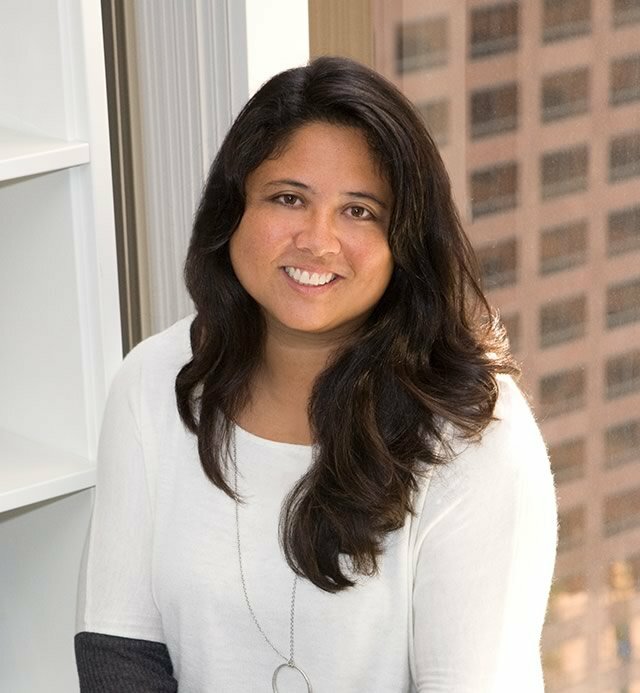 She has extensive experience in developing flexible damages models for real-time use in high-stakes negotiations. Professor Tufano's research focuses on financial innovations such as the design of new securities and financial instruments; the organization of financial markets; corporate risk management; and the mutual fund industry around the world. A prolific author, Professor Tufano has written numerous books and articles. His work has been published in such leading journals as the Journal of Finance, Journal of Financial Economics, Review of Financial Studies, Journal of Banking and Finance, Financial Management, and Harvard Business Review. In addition, Professor Tufano is an associate editor for several publications, including the Journal of Finance, Financial Management, and Journal of Financial Services Research, and a coeditor of the online journal FEN-Educator. 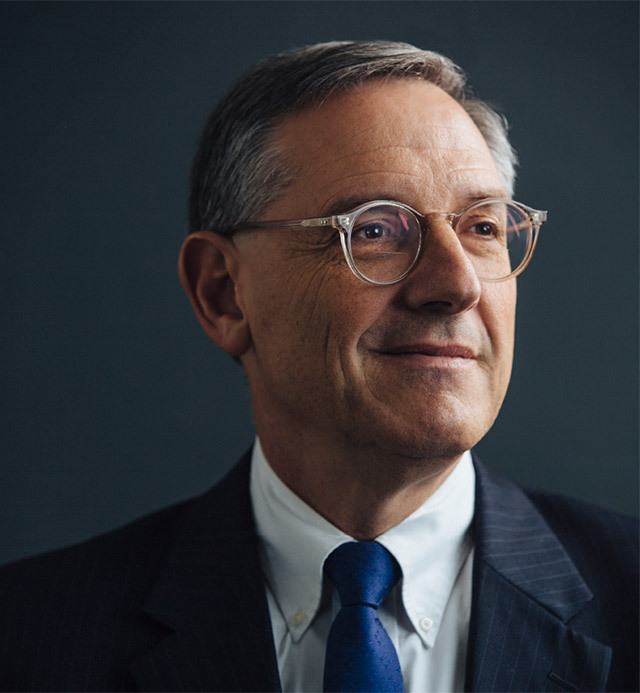 Professor Tufano is the recipient of several awards and honors, including the 1996 Smith Breeden award for best paper published in the Journal of Finance. Mr. Grien is a managing director and head of the Finance and Restructuring Advisory Group at TM Capital Corp. 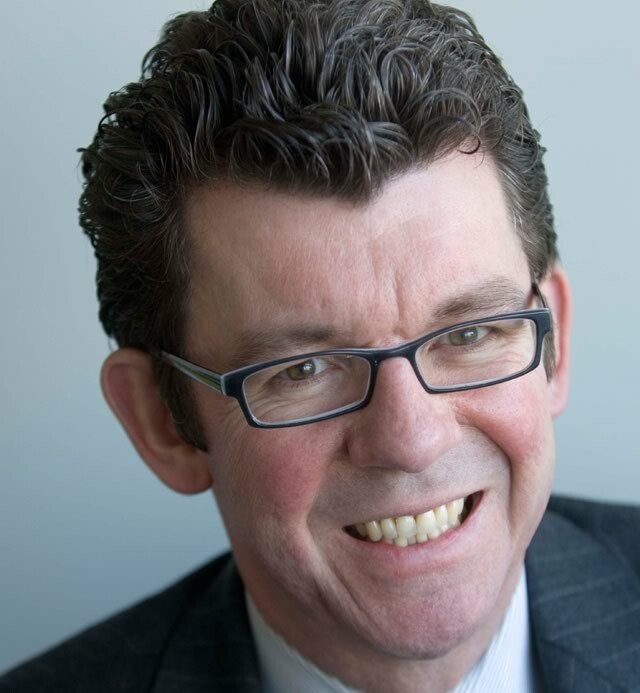 He has nearly 30 years of experience in finance, specializing in leveraged finance. 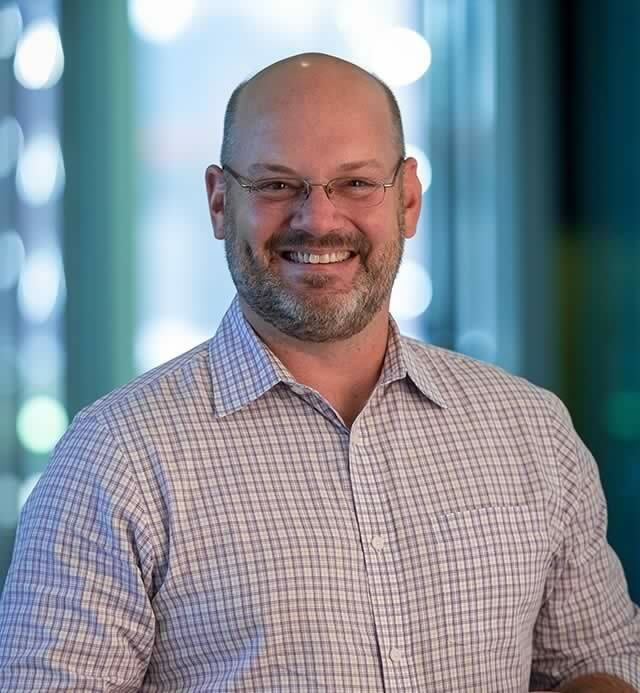 He has extensive experience committing debt capital to leveraged transactions and an in-depth knowledge of the leveraged finance market, having committed to and executed multiple billions of dollars in debt facilities spanning several hundred transactions. Mr. Grien's areas of expertise include complex financial structuring, restructuring, due diligence, credit analysis, valuations, and market pricing. He does a significant amount of work as an expert witness; his areas of expertise include due diligence, credit analysis, deal structuring and negotiation, workouts, valuation, and market pricing. 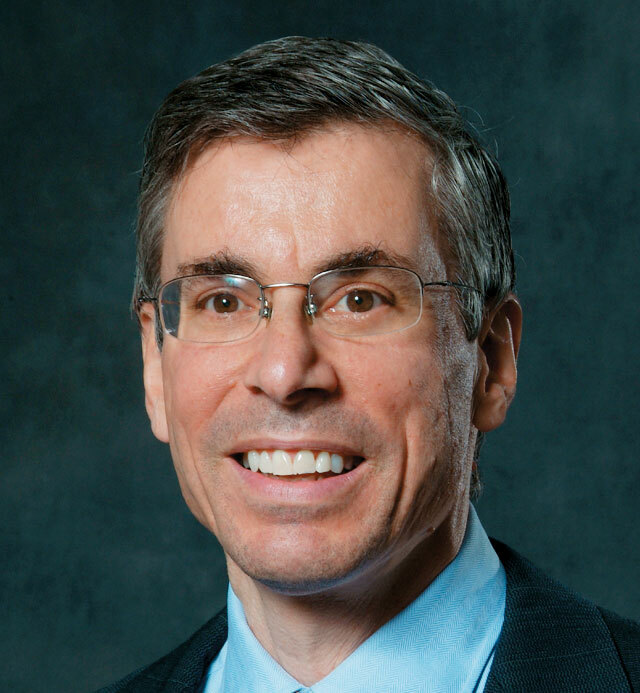 Dr. Rothman specializes in the economic analysis of antitrust and competition issues. He is retained by private parties to present analyses to the US Department of Justice (DOJ) and the US Federal Trade Commission (FTC). He is also retained by and has testified for the FTC as an expert witness in merger litigation, including in the FTC&rsquo;s successful challenge of the Wilhelmsen/Drew merger. 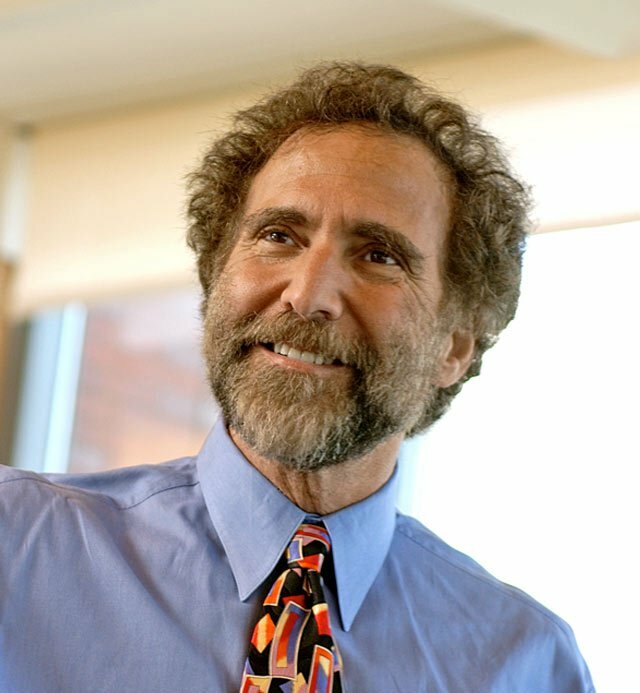 Additionally, Dr. Rothman has recently led teams that supported the DOJ&rsquo;s testifying economist in its challenge of the Anthem/Cigna merger, the FTC&rsquo;s testifying economist in its challenge of the Sanford Health/Mid Dakota Clinic merger, and the FTC&rsquo;s testifying economist in its challenge of the Penn State Hershey Medical Center/PinnacleHealth merger. In addition to his merger work, he has worked on multiple joint conduct and unilateral conduct matters. Professor Hart is a leading expert in contract theory, the theory of the firm, corporate finance, and corporate governance. He is affiliated with the Program on Corporate Governance at Harvard Law School's John M. Olin Center for Law, Economics, and Business, and is a past president of the American Law and Economics Association. Mr. Tuttle specializes in helping both new and established companies grow. He is expert in evaluating market and customer needs, developing new products and services, adapting business structures to meet changing competitive requirements, and employing acquisition and divestiture to improve performance. In the area of new product and service development, he has worked with clients to identify the portfolio of innovations that will create the most value and to enhance the effectiveness with which those innovations are developed and brought to market. Mr. Tuttle has assisted clients in expanding their presence in both new and existing markets, evaluating potential investments, and supporting the acquisition and integration of target companies and product lines. 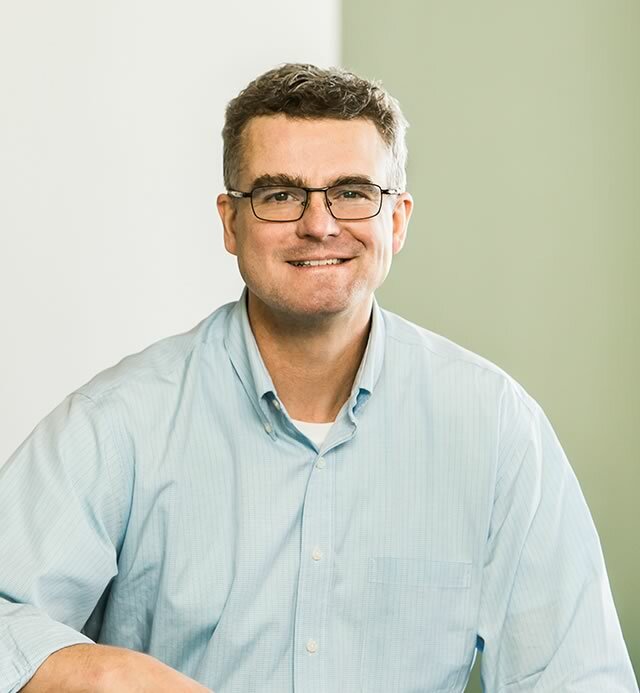 For Fortune 100 clients in health care, transportation, and technology, as well as many smaller clients, his projects have often included development of sophisticated models for evaluating market demand, product success, and business options. He writes and speaks frequently on growth and innovation. Ms. Kirk Fair has conducted economic analysis and managed case teams in support of academic experts in a broad range of cases, including intellectual property, false advertising, tax, class certification, and major antitrust litigation. She has also supported the FTC and parties in a variety of merger investigations. 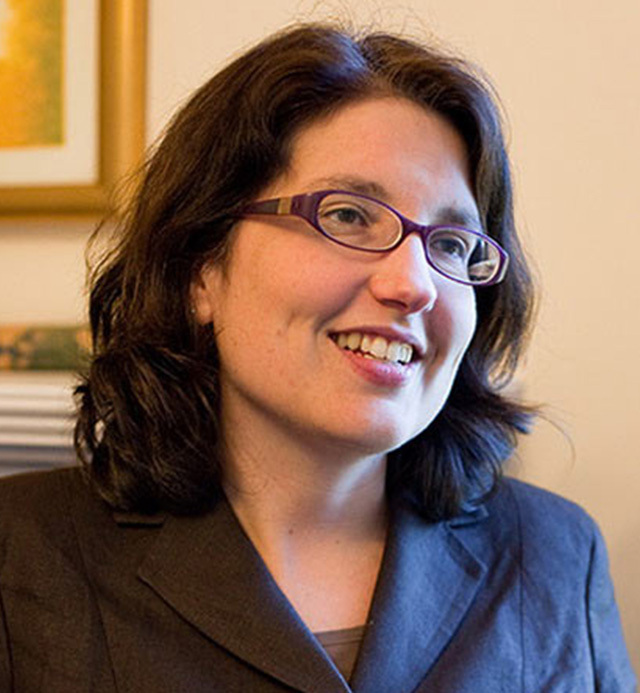 Ms. Kirk Fair has supported academic experts in prominent antitrust cases involving allegations of multinational and domestic cartels in the technology, consumer products, and finance industries, as well as allegations of monopolization and price fixing in both the financial services and IT industries. In particular, she has assisted with quantitative analyses and market research examining the consistency of plaintiffs' claims in the defense of multiple class certification matters in the financial services industry for payment card clients and several major brokerage houses. In <i>Discover v. MasterCard</i> and <i>American Express v. Visa, MasterCard, and Issuing Banks</i>, she oversaw multiple analyses in support of experts assessing damages and market equilibrium. Professor Prince's research in industrial organization and applied econometrics focuses on technology markets and telecommunications. He has published research on dynamic demand for computers, Internet adoption and usage, the inception of online/offline product competition, and telecom bundling. Professor Prince has also studied topics such as household-level risk aversion, airline quality competition, and regulation in healthcare and real estate markets. His research has appeared in top journals in both economics and management, including the <i>American Economic Review,</i> the <i>International Economic Review</i>, the <i>Journal of Industrial Economics</i>, <i>Journal of Economics and Management Strategy</i>, the <i>International Journal of Industrial Organization</i>, <i>Management Science</i>, and the <i>Academy of Management Journal</i>. He is currently a coeditor at the <i>Journal of Economics and Management Strategy</i>, and is on the board of editors at <i>Information Economics and Policy</i>. An expert in consumer behavior and branding, marketing management, and marketing strategy, Professor Dhar consults for companies in a wide variety of industries, ranging from financial services to high tech and luxury goods. He has also served as an expert witness and consultant in a number of litigations. His research involves the use of psychological and economic principles to identify successful consumer and competitive strategies in the offline and online marketplace, and he has been engaged in pioneering work on understanding the different factors that influence consumer choice. Professor Dhar’s research has received several awards, and his work has been mentioned in BusinessWeek, The New York Times, the Financial Times, The Wall Street Journal, The Economist, USA Today, and other popular media. He has been a visiting professor at HEC Paris School of Management, Erasmus University Rotterdam, and the business schools at Stanford University and New York University. 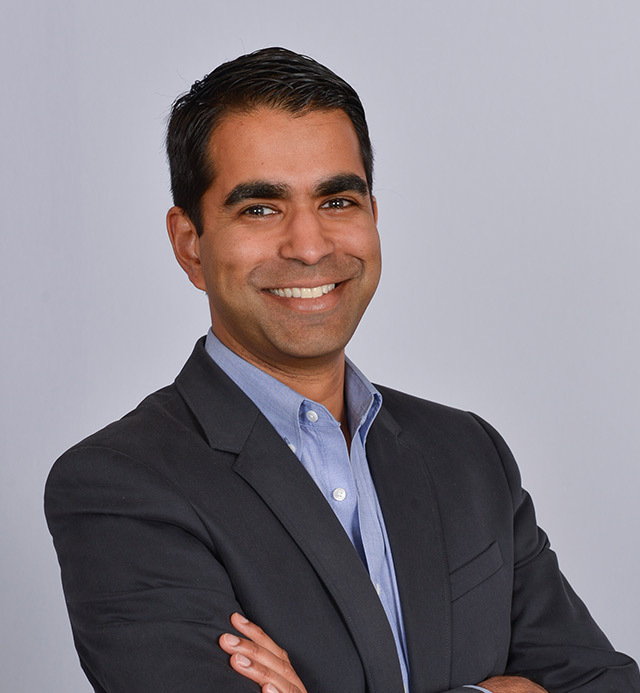 In addition to writing more than 50 articles and book chapters, Professor Dhar serves on the editorial boards of several journals, including the Journal of Consumer Research, Journal of Marketing, Journal of Marketing Research, and Marketing Letters. He has led marketing seminars for senior executives in Asia, Europe, and North and South America. Dr. Crew has over 20 years of experience, both as a consultant and as an expert witness, in finance and securities matters across a number of industries. He specializes in federal securities matters and has worked on scores of securities fraud cases, including some of the largest cases ever filed. Dr. Crew has performed numerous analyses of stock and bond price behavior, including event studies, loss causation, damages assessment, and tests of market efficiency. He has also worked on matters involving complex financial securities and derivatives such as structured notes, options, currency derivatives, and mortgage-backed securities – where issues include valuation, risk assessment, and investment suitability. He has experience providing expert reports and testifying at deposition, and supports academic affiliates and industry experts through all phases of complex business litigation matters. In addition to his litigation experience, Dr. Crew has experience providing pricing, risk assessment, and real option valuation for clients in the pharmaceutical and electric industries. He has published research on regulatory policy and risk management, and written on expert analyses in federal securities cases. Professor Wermers is an expert on mutual fund performance measurement, the impact of mutual funds on stock markets, empirical tests of the efficiency of stock markets, and the role of institutional investors in setting security prices. His research created state-of-the-art approaches to measuring and attributing the performance of portfolio managers. His research also addresses whether investment managers who actively manage their portfolios can consistently beat the results of passively managed index funds. His papers have been published in leading scholarly journals, and he coauthored Performance Evaluation and Attribution of Security Portfolios, a text on the latest scientific approaches to performance evaluation and attribution of professional fund managers. He has won numerous awards for his research and teaching. 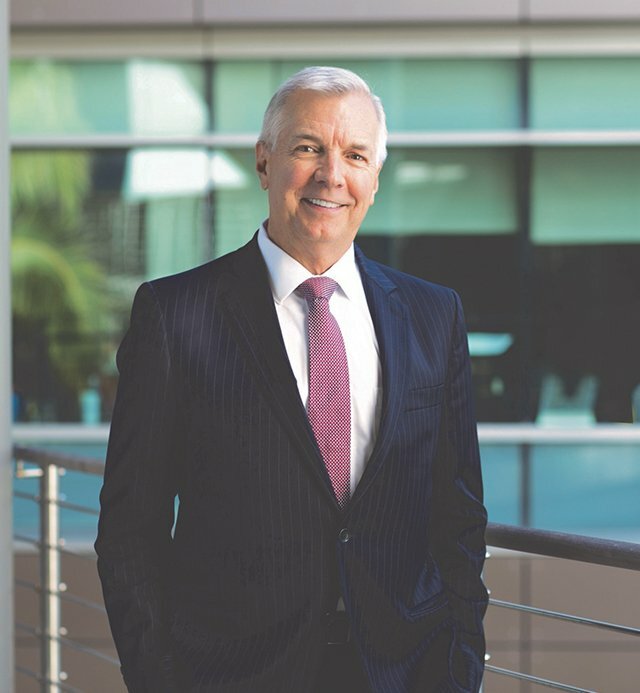 Professor Wermers has served as an expert witness in numerous matters, including challenges to mutual fund fees under Section 36(b) of the Investment Company Act, ERISA litigations challenging the selection of investments for plans, and disputes over investment suitability. Professor Dranove's research focuses on problems in industrial organization and business strategy, with an emphasis on the health care industry. 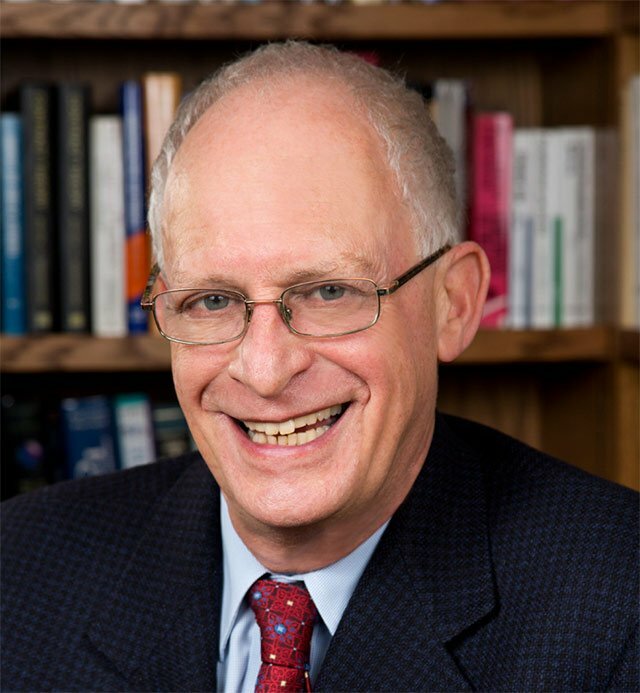 He has published nearly 100 research articles and book chapters, and is the author of six books, including <i>The Economic Evolution of American Healthcare</i>, <i>Code Red</i>, and the textbook <i>The Economics of Strategy</i>, which is used by leading business schools around the world. Professor Dranove regularly consults with leading health care organizations in the public and private sectors. He also has two decades of experience performing and testifying about economic analyses in both litigation and regulatory actions. Most recently, he testified on competition issues for the US Department of Justice in the agency's effort to block a proposed merger of two commercial health insurers. Professor Dranove concluded that the proposed transaction likely would result in higher prices and less innovation. He also has served on the executive committee and board of directors of the Health Care Cost Institute. Professor Dranove is on the review board of numerous prominent industry journals; he is the editor of the <i>International Journal of Health Economics and Management</i> and an associate editor of the <i>RAND Journal of Economics</i>. Arnold Barnett's research specialty is applied mathematical modeling generally focused on problems of health and safety. His early work on homicide was presented to President Ford at the White House, and his analysis of UScasualties in Vietnam was, among other things, the subject of a column by William F. Buckley. He has received the President's Award and the Expository Writing Award from INFORMS (1996 and 2001, respectively) and the President's Citation from the Flight Safety Foundation (2002) for “truly outstanding contributions on behalf of safety.” He has written op-ed pieces for The New York Times, The Wall Street Journal, The Boston Globe, and USA Today. 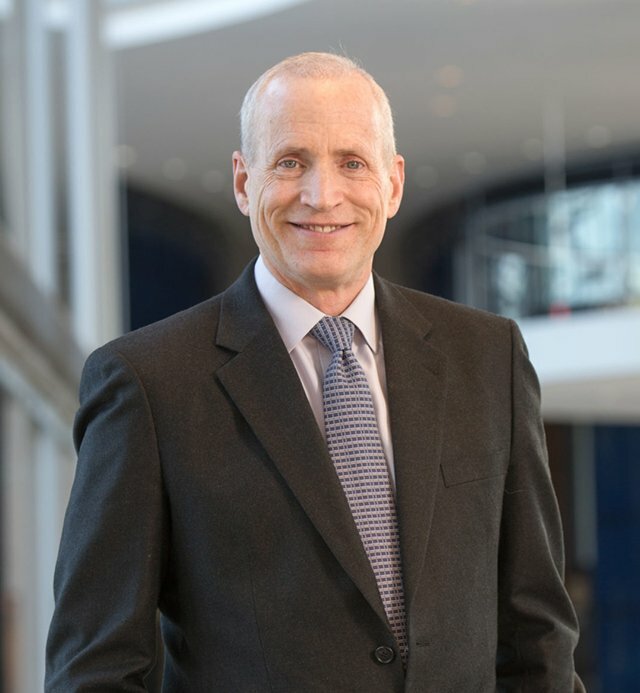 Ten times he has been honored for outstanding teaching by students at MIT's Sloan School of Management; in 1992, Business Week described him as the "best" Sloan School faculty member. 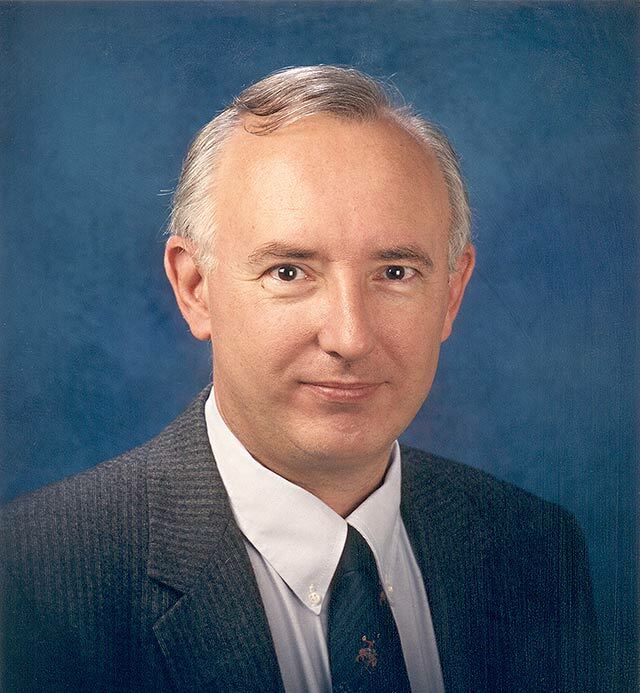 Dr. Barnett has testified in many legal proceedings as a statistical expert and an aviation-safety expert. Professor Jena is a health economist, practicing internal medicine physician, and professor of health care policy. 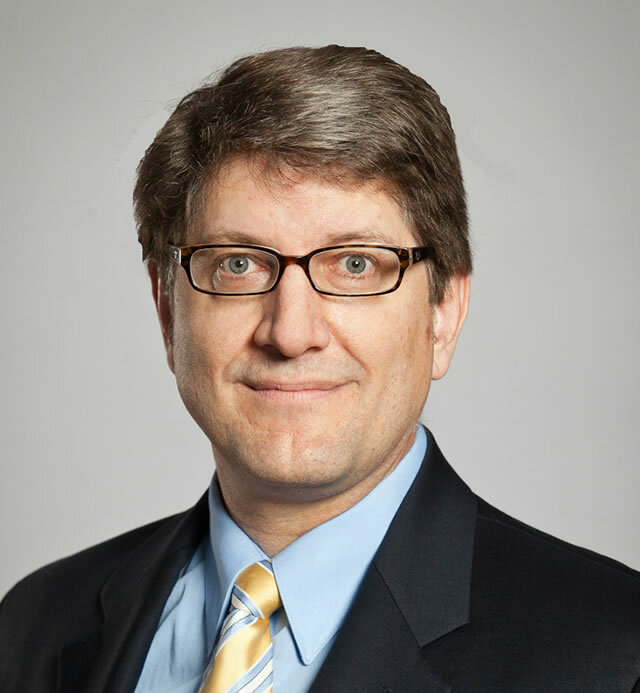 His work involves several areas of health economics and policy, including the economics of medical innovation, the economics of physician behavior and the physician workforce, medical malpractice, and the economics of health care productivity. Professor Jena has been retained as an expert in several pharmaceutical and health care industry matters. Ms. Moore specializes in the application of financial and econometric techniques to litigation and other complex business matters on behalf of corporations, government agencies, and law firms. She has more than 20 years of experience in assessing liability and damages in federal, civil, and criminal securities matters as well as numerous False Claims Act matters. Ms. Moore has conducted studies in stock price behavior, investor trading patterns, investment suitability, health care claims payment disputes, business interruption, contract disputes, and investment risk management. 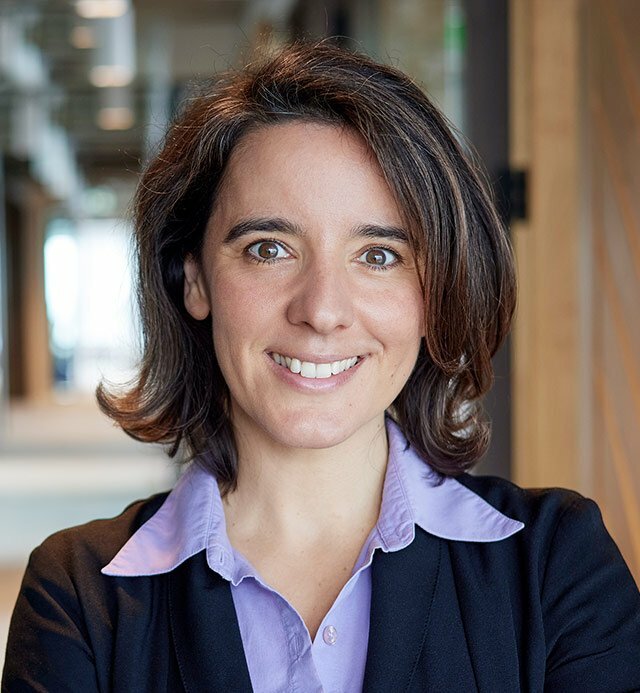 In addition, she applies statistical and sampling techniques in compiling and analyzing large, complex proprietary and public databases. Ms. Moore has also performed assessments of investment risk exposure of institutional investment portfolios containing complex financial securities and derivatives, such as structured financial instruments and synthetic fixed-rate and energy swaps and hedges. 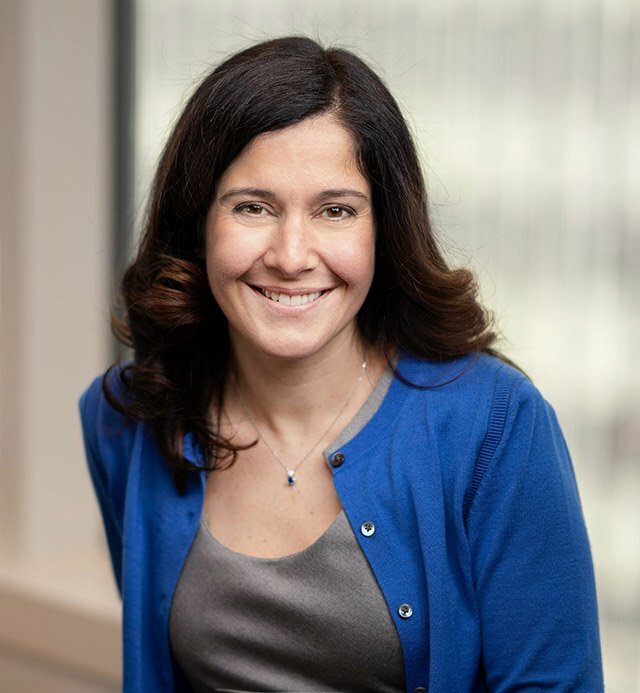 She is a co-contributor of "Securities Act Violations: Estimation of Damages" in Litigation Services Handbook, Third Edition, and "Federal Securities Acts and Areas of Expert Analysis," in Litigation Services Handbook, Fourth and Fifth Editions. 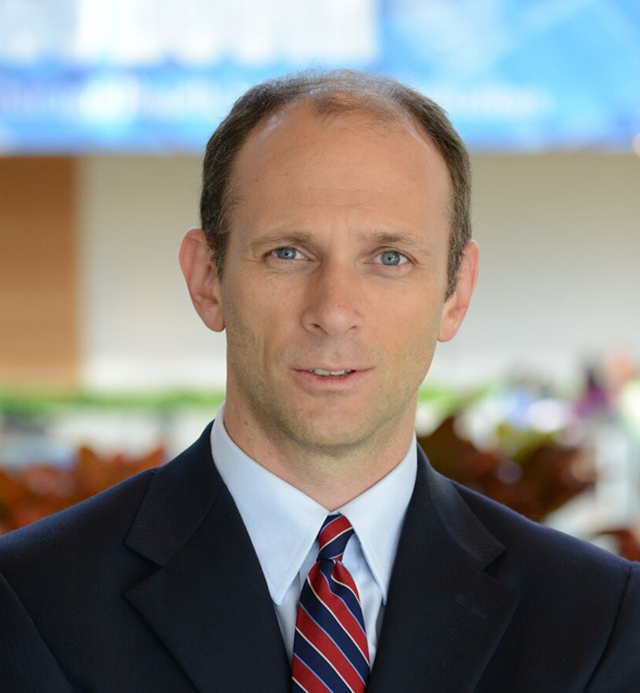 Dr. Goolsbee is the Robert P. Gwinn Professor of Economics at The University of Chicago Booth School of Business and strategic partner to 32 Advisors, where he leads their Economic Advisory practice. 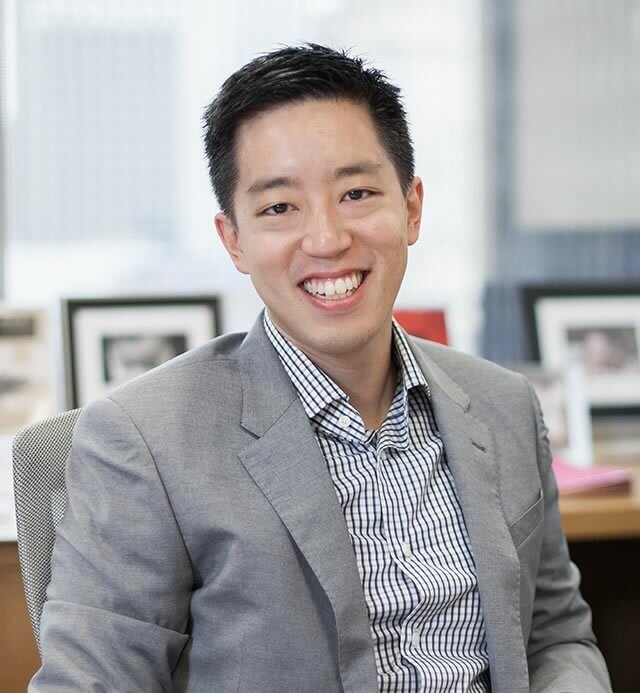 In addition, he serves on the Economic Advisory Panel to the Federal Reserve Bank of New York and is a member of the US Department of Commerce's Digital Economy Board of Advisors. 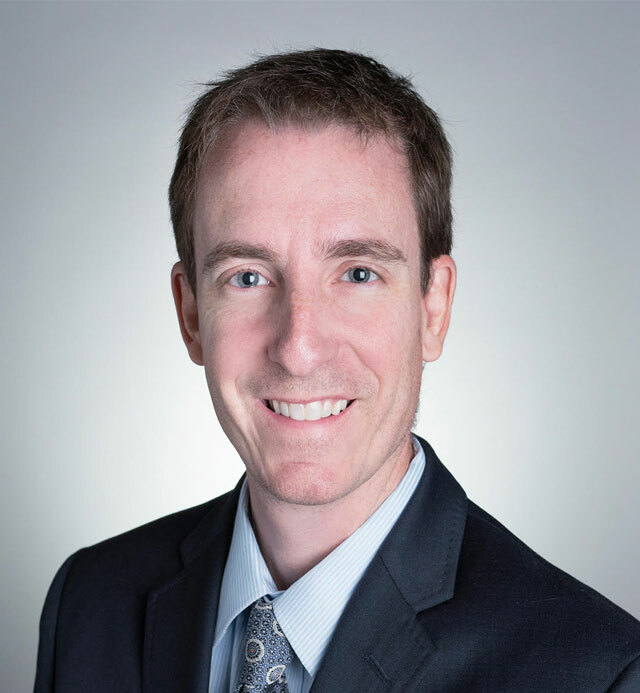 Dr. Goolsbee's research interests are wide, including the influence of Internet commerce, innovation, and technology on competition, consumer behavior, tax policy, education policy, and the role of the government in business. His research, teaching, and public service have earned him broad recognition, including being named a Fulbright Scholar and an Alfred P. Sloan Fellow. Over nearly two decades, Mr. Christensen has conducted economic analysis and managed case teams in support of academic experts in a broad range of cases, including major finance, tax, and antitrust litigations. Notably, Mr. Christensen led the Analysis Group team in its analysis of debt structures and corporate governance in the multi-billion-dollar lawsuit between the lenders to Adelphia Communications Corporation and the Adelphia estate; he also led the Analysis Group team assisting GlaxoSmithKline in the largest transfer pricing dispute in US history, and has extensive experience in tax and transfer price-related litigations across multiple industries. In the context of matters involving complex financial instruments, he has analyzed derivatives and structured finance vehicles, and assessed risk and investment suitability issues. His case leadership in numerous antitrust matters spans a variety of industries. 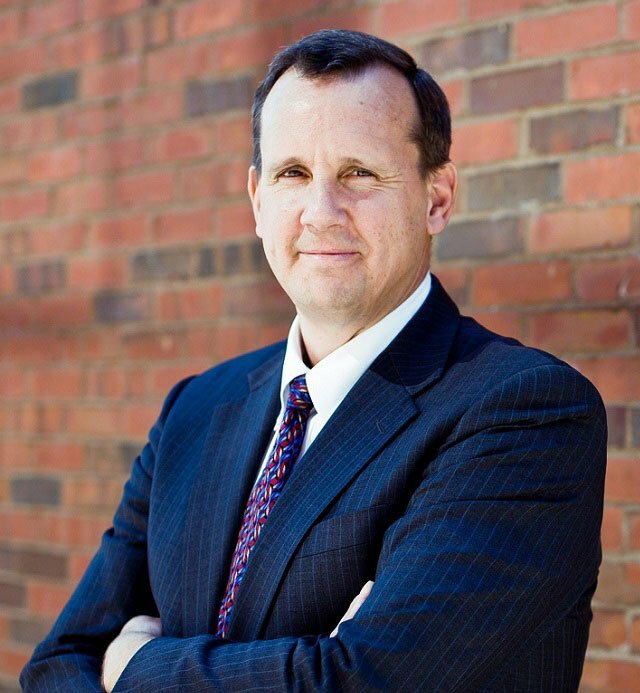 Mr. Christensen has provided consulting expertise to attorneys throughout multiple phases of litigation, including preparation of testimony; development, presentation, and review of pretrial discovery; and critique of analyses of opposing experts. Professor Golder's research focuses on innovation, branding, and global marketing strategy. His research on market entry timing, new products, long-term market leadership, and quality has received widespread acclaim, including the William F. O'Dell Award (<i>Journal of Marketing Research);</i> the Harold H. Maynard Award (<i>Journal of Marketing</i>); the INFORMS Long Term Impact Award (<i>Marketing Science</i>); the Frank M. Bass Award (<i>Marketing Science</i>); the Berry Book Prize (<i>American Marketing Association</i>); and recognition from the <i>Harvard Business Review</i> for co-authoring one of the Top Ten Business Books of the Year (2002). 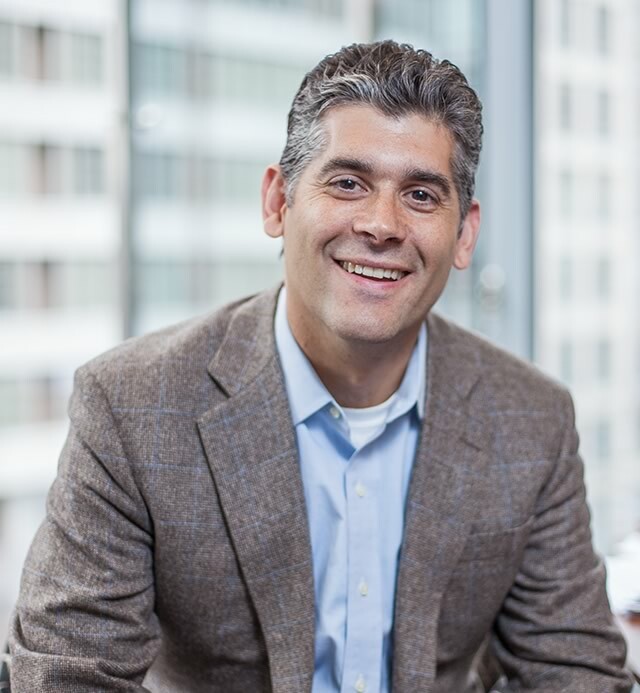 His recent research includes an examination of how economic conditions affect long-term brand leadership persistence and how consumers learn to use multi-feature products like smartphones and websites. He has also recently developed an integrated framework of quality encompassing produced quality, experienced quality, evaluated quality, customer expectations, and customer satisfaction; and explored the historical origins of radical innovations including how they are developed and commercialized. Mr. Starfield specializes in the direction and management of large-scale cases involving complex economic and financial issues. For more than two decades, he has conducted economic analysis and managed case teams in support of leading academic experts in a range of cases, notably a number of matters involving complex securities, including residential mortgage-backed securities, collateralized debt obligations, and credit default swaps. In matters related to the Lehman bankruptcy, he supported multiple experts in assignments related to structured financial products, secured financing, collateral management, derivatives risk exposure, complex accounting topics, and the causes of Lehman's failure. He also managed case teams in the Enron-related litigations involving some of the major settlements emerging from the Enron bankruptcy. In addition, he has worked on a broad range of cases in the investment management area, including numerous matters involving alleged violations of Sections 10b-5 and 11, in which he provided management of many dimensions of financial and economic analysis, including market efficiency, loss causation and materiality, and damages. Mr. Starfield also worked with mutual fund companies, boards, and regulators in some of the most prominent market timing matters. He managed all aspects of financial and economic analysis in a fraudulent conveyance litigation involving one of the largest bank failures in US history, including identification and support of numerous academic expert witnesses who testified on the economics of the banking industry; conditions in real estate markets; the management, operation, and regulation of nationally chartered commercial banks and bank holding companies; and factors that led to bank failures. Please complete this form to contact us for more information.